Israel would not hesitate to act against the Bashar Assad regime should Assad allow Iran a military base from which to attack Israel from Syria, an Israeli security official said. 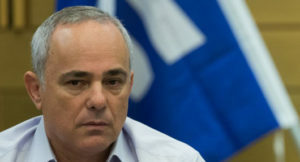 Steinitz, a member of Israel’s security cabinet, warned in an Army Radio interview that Israel would act against Assad if Iran crosses the red lines that Israel has established. The first red line would be allowing Iran to establish a “forward” military base for the Islamic Revolutionary Guard Corps (IRGC), Steinitz said. The second red line would be Syria allowing Iran the means to upgrade Hizbullah’s missile capabilities. “The Assad regime is the weak link in the Iranian-Shi’a axis, and I think Assad should think very well whether he wants to turn Syria into a forward base for Iran or allow precision missiles through Syria to Lebanon, because he himself, his regime, his government and his army can be hurt in that situation,” Steinitz said.